Young people are an essential part of the church family here at Whetstone Baptist Church, and there's space to learn about God, develop faith and build friendships. If you would like more information, or to talk to someone about the young people's activities at WBC, please contact the church office on 0116 286 3145. We begin in church for the all-age worship, then young people leave for Dynamite. We learn from the Bible, look at themes that affect their everyday lives, and our walk with God. Space is a social group that meets at the church or other venues. It's a safe place where young people can come, bring their friends, and have fun doing lots of different activities and building friendships. Relaxed worship with contemporary music including a testimony. Organised and run by young adults and young people for ages 10 to 110! With refreshments from 6.00pm. Follow The Whetstone Well Worship on Facebook to find out about future events. We will tell the next generation the praiseworthy deeds of the Lord, his power, and the wonders he has done... so that the next generation would know them… [and] they would put their trust in God (Psalm 78). We are committed to the nurturing, protection and safeguarding of all children and young people associated with the church. We seek to ensure that all our activities are conducted in a way which promote a safe environment for all. 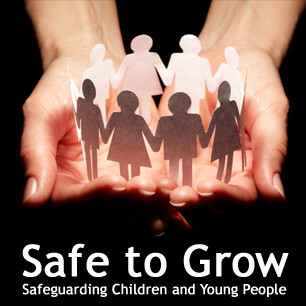 We provide safeguarding guidance and training for all people involved with running young people's activities.